We tend to sleep in a bit later these early fall mornings – and yet we still beat the sun up! It doesn’t rise until almost 7:00 am these days. When we get outside & are ready to work, everything is covered in a heavy dew. 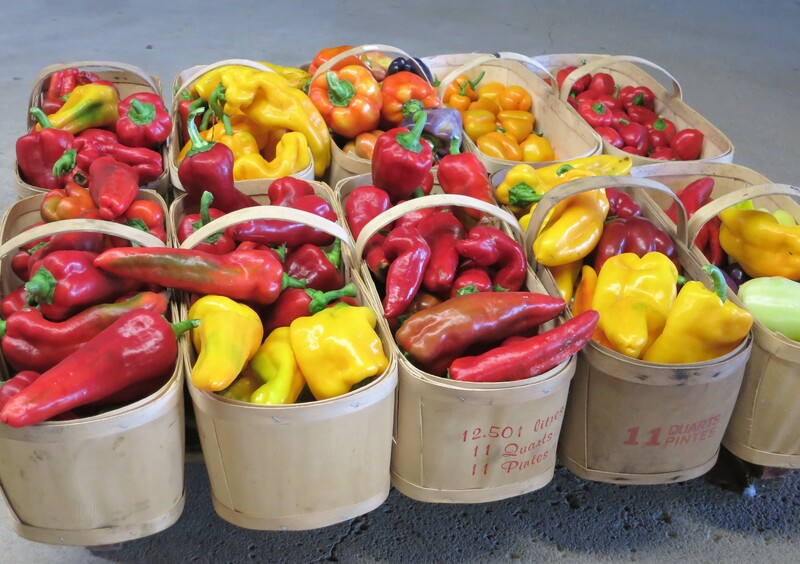 So we tend to linger over our coffee, take our time planning the day’s work, & stall … waiting for the vegetables to dry before we can begin picking. It’s a beautiful time of the day – my favourite time of day. 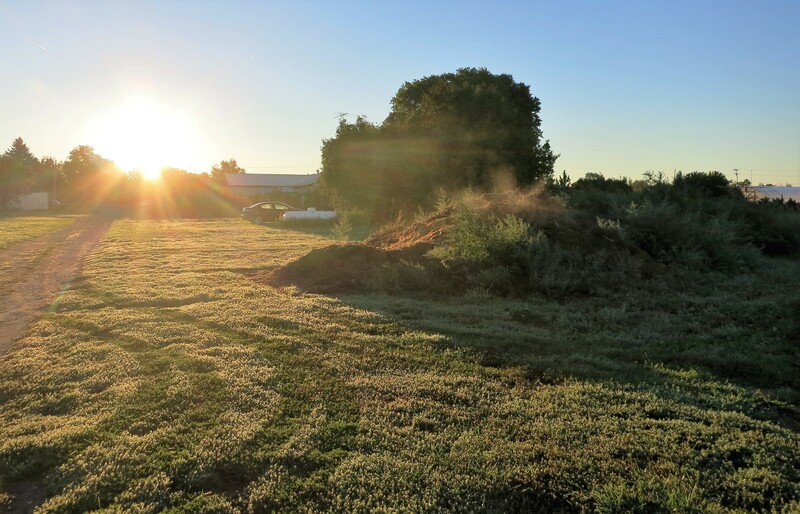 The compost pile steaming in the early morning. Sweet corn, sweet peppers, cabbage, tomatoes, onions, garlic, kale. Sweet corn is not something we usually offer in our CSA. But this year we thought we would give it a try. Corn is easy to grow – we always grow a patch for our own use, to eat fresh & to freeze for the winter. The difficulty growing corn for CSA is in the timing & growing the correct amount. It seems to have all worked out, so this is the week to enjoy some ears of “Honey Select” a beautiful yellow variety that (according to the seed company) features “tenderness, flavour & sweetness”. 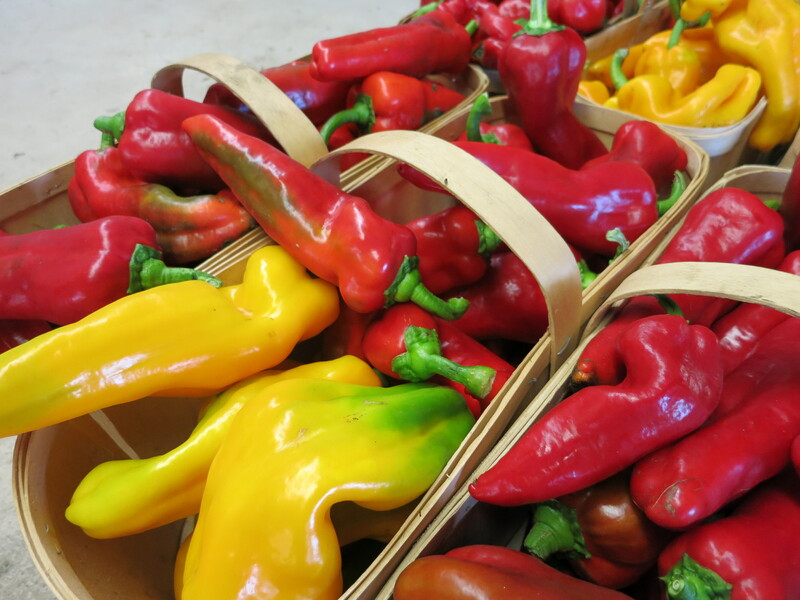 Sweet peppers were a surprise in your box last week. 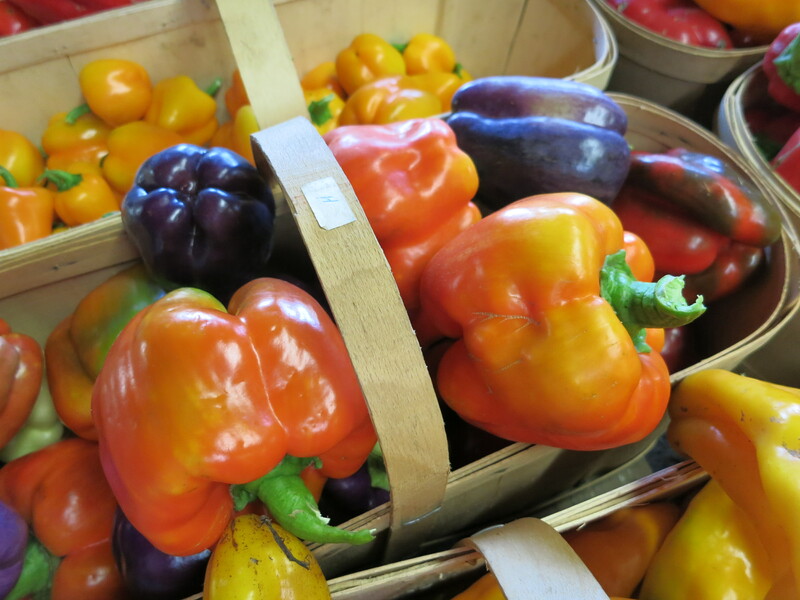 We have been waiting & waiting for them to ripen. Throughout the drought we watered & pampered them as best we could, hoping they would flourish. 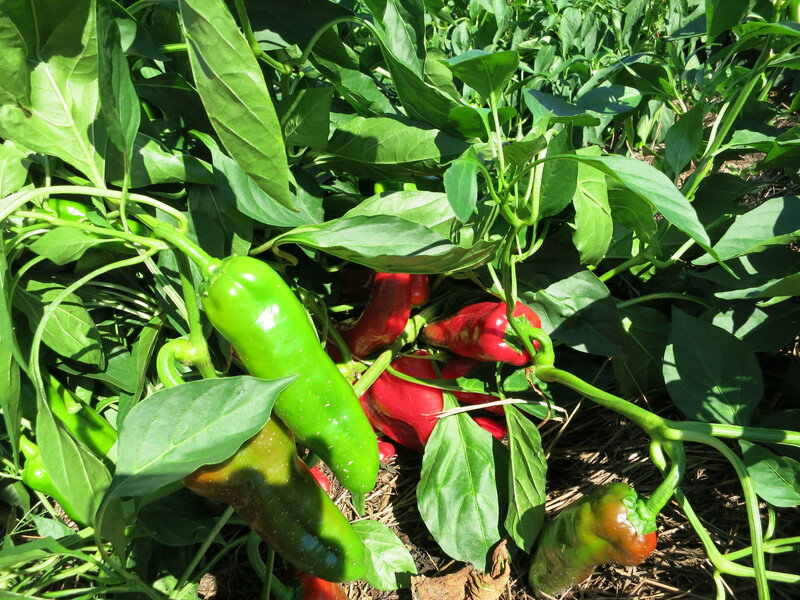 Most of them made it through, but they have been taking their sweet time in ripening. The plants are loaded with fruit and are finally turning colour. 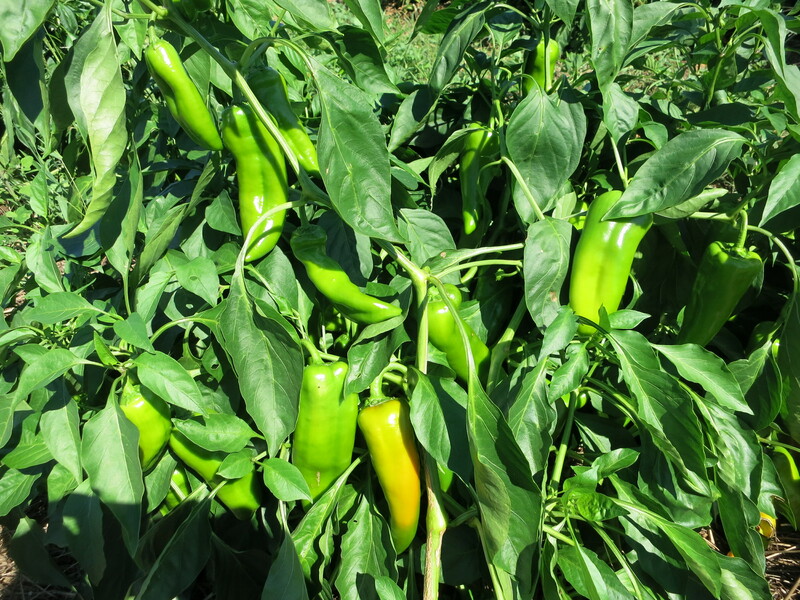 We grew mostly shepherd peppers – the long, thin, pointed ones, and some bell peppers – the common blocky shaped ones. They both taste great with the shepherd peppers being perhaps a bit sweeter. We have them in red & yellow & the bells in red, yellow, purple, orange & green. The cabbages are also ready now – tender, mini cabbages that are just the right size for a delicious coleslaw or a 1 meal serving. We thought these smaller versions would be better than a huge cabbage that takes forever to finish. Were we correct? Let us know. 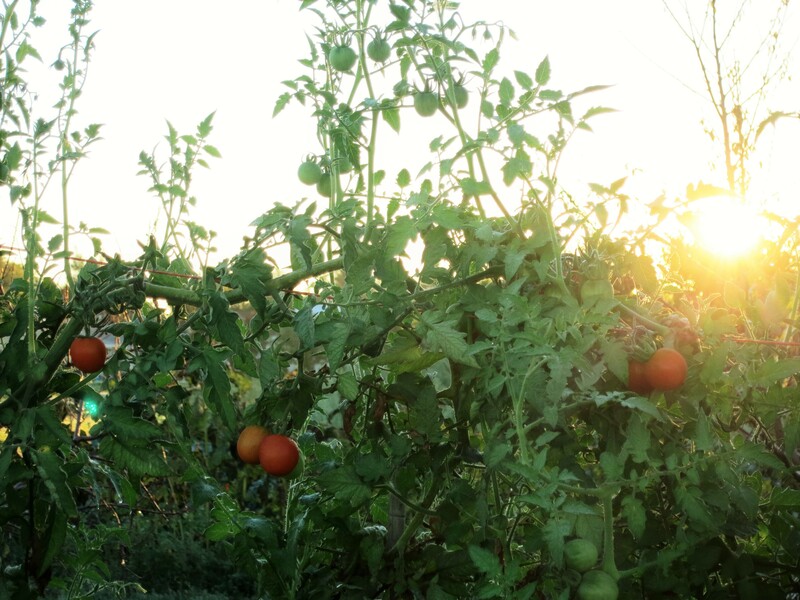 Tomatoes, onions, garlic & kale are also part of your CSA share this week. 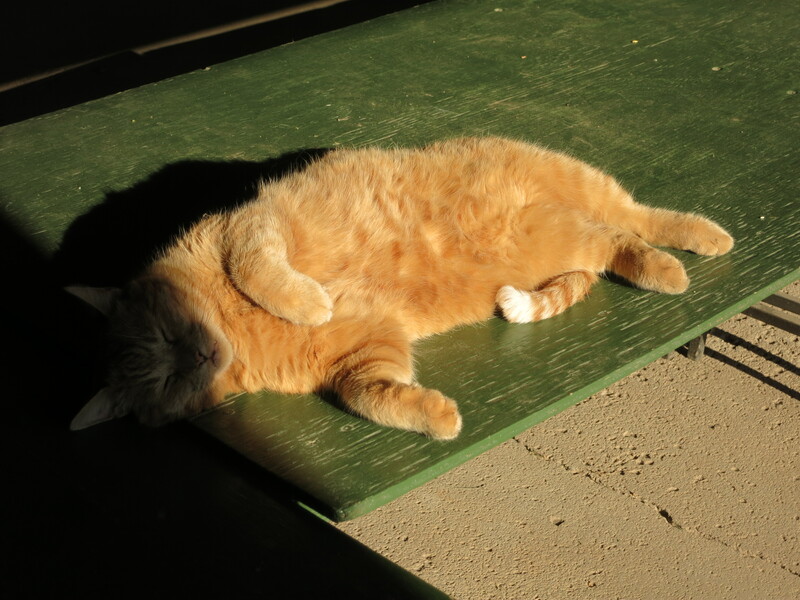 Oliver enjoying the early fall sunshine. Ron, the colours are so strong and look great – to say nothing of the taste of all your goodies.